Is the Greek drama back on? Prime Minister Samaras is trying to stop the anti-bailout party Syriza from getting to power. This comeback of uncertainty in European politics sent fresh shivers down the spines in Brussels, where the threat of a domino effect still exists. 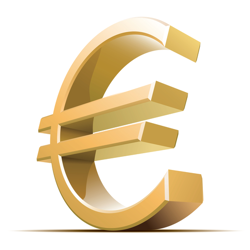 As a result, the euro lost 19 points against the dollar to $1.2612. As anticipated, the Federal Reserve confirmed that it had ended its asset purchasing program. Confident that the US labour market is strong enough, the Fed also downplayed the risk of a drop in inflation, with the odds now increasing that rates will be hiked before October next year. That supported the dollar and hurt the euro on a relative basis, with the EUR/USD pair resuming its slump and closing 104 points lower at $1.2632. It has been reported that the reluctance of the Eurozone to use QE to combat the risk of deflation/recession has attracted record outflows of capital from the region. But on the other hand, the Federal Reserve has recognised that Europe could drag the world's largest economy back into trouble, meaning that it appears to be having second thoughts on raising rates. That seems to have stopped the recent freefall in the euro, if only for now, with the single currency recovering another 34 points against the dollar yesterday to $1.2735. The European Central Bank announced that it had bought €1.7 billion worth of covered bonds last week in an attempt to spur economic growth in the common area. Although the move was seen as being rather aggressive, more stimulus is expected to follow. In the meantime, investors felt more at ease given the fact that no major European bank failed the stress tests, so the euro gained 20 points against the dollar to $1.2699. Ahead of the release of the stress test results in Europe, the shared currency gained just 19 points against the dollar to $1.2667 as participants were largely in waiting mode. Over the weekend, it was revealed that all but €7 billion of the capital shortfall has been made good by the banks and that no major European bank was in trouble. Consequently, the EUR/USD started the week on the offensive, breaking above the $1.27 mark this early morning.